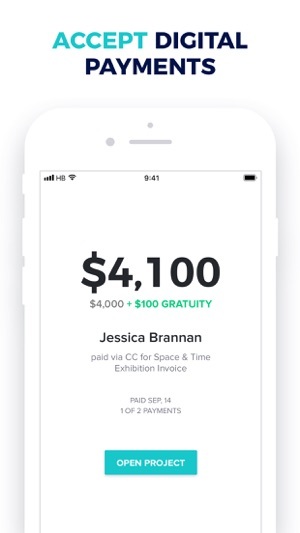 Pocket-sized business management for creatives on the go. 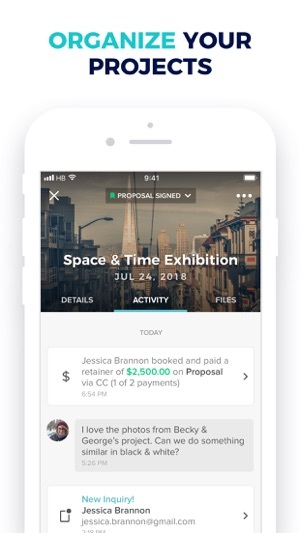 Easily send professional invoices, manage clients and process payments no matter where your next adventure takes you. Since we believe in community, we've paved the way for creatives to get referrals, connect, collaborate and share their work. As a HoneyBook creative you can seamlessly turn opportunities into clients while staying organized and running your business from anywhere. 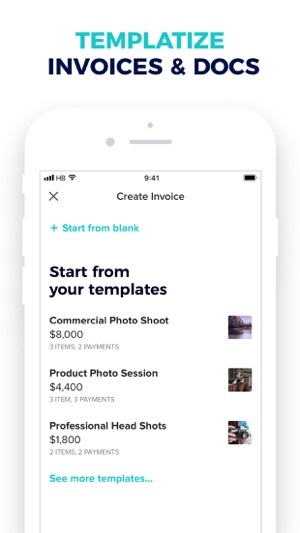 You’ll be able to access client details, get notifications, and respond with templates and files, from wherever, whenever. 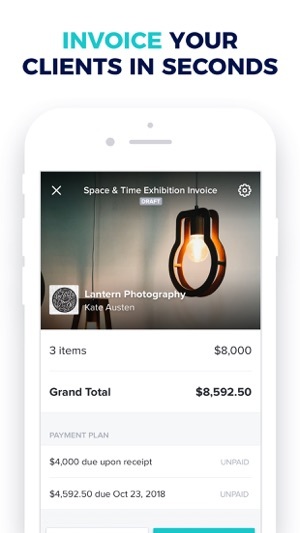 Manage your client dashboard from anywhere— know what stage of the workflow each client is in and view their details. 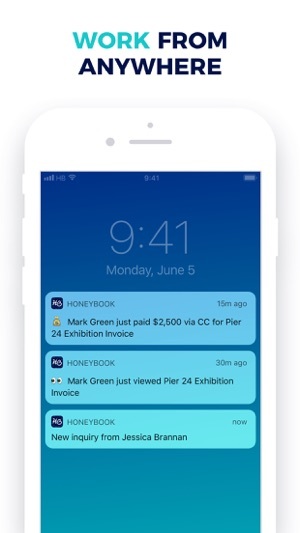 Get instant notifications when clients inquire, message you, payments are received, and more. 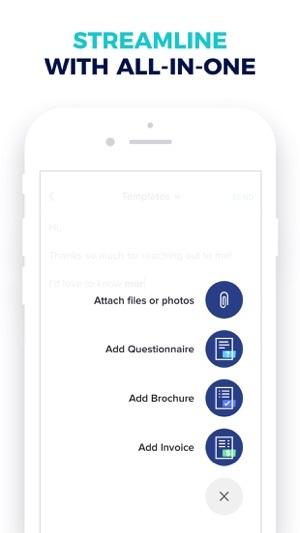 Save time and get clients the information they need with email templates you can personalize. Attach your custom Brochures, Questionnaires, PDFs or images . Keep all your docs, clients, and conversations in one place. All accessible and available offline. 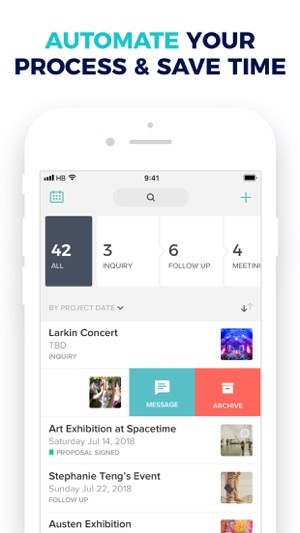 See your availability on new project inquiries without leaving the app. 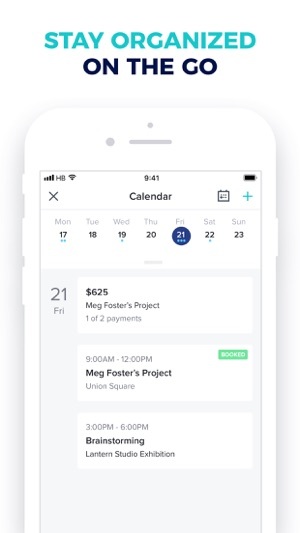 View your schedule on the day of the project. 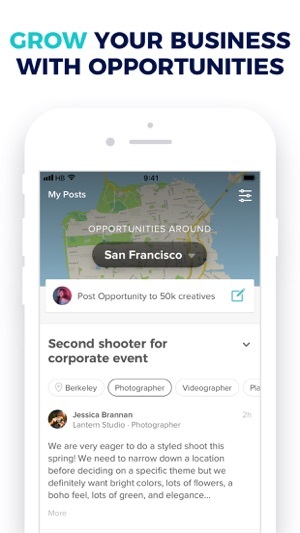 Find opportunities based on specific location and type, get notified about new referrals daily. 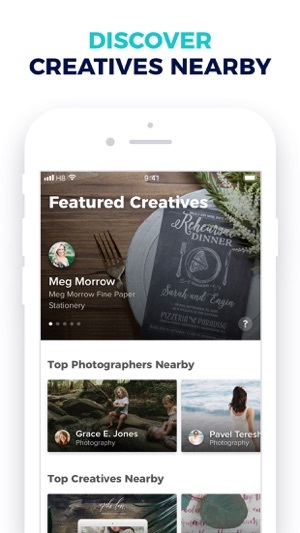 Tap into local creatives in your area and beyond, search from 80k+ creatives by industry type, filter by location and start collaborating with the best. Create a professional profile and we’ll make it SEO-friendly, increasing your traffic and exposure. Life as a photographer got easy! I wish I knew about HoneyBook moons ago!! My workflow is smooth sailing. I’ve noticed that clients book a lot easier and faster by sending the proposals. I’m in love! Second... I personally would love folders or any other way to place my “booked” jobs in. I would like this so I can only have my inquiries on the dashboard, and only concentrate on those jobs rather then seeing everything and not knowing who I’m working with. It would be nice to be able to just pull jobs I’m working on for that month. Besides those two things, I love everything about this app and the customer service is amazing! Great App - Jennifer Trahan Co. I'm super excited to have this app, I hope it makes my life easier. When I select a specific location, I still have opportunities showing up from all over the country and sometimes I have to search the post for the location to be sure I don't reply to a post that is too far from me, then sometimes the posts don't even state where the opportunity is. Don't know what I'm missing?!? The chat would be great if I could see all chats in one place not try and remember who I was chatting with, search them then select chat to read the convo. Wishing posters wouldn't cancel replies only a few hours in when they are asking for names to be tossed into the hat... three posts and it's shut down... I'd like to make them aware of my services too but I can't stalk HB 24/7 to get a comment in. If it's booked that's one thing but if it's not let people continue to add to the pot. (Just my opinion, nothing can be done about that). Guy from HoneyBook's Mobile team here. You can definitely edit your posts by tapping the three dots icon at the top right corner of your post and selecting the "Edit Opportunity" option. If there are more questions or problems you experience, please don't hesitate to drop us a line at concierge@honeybook.com. Thanks for reaching out! This app is LIFE CHANGING! For real...we’ve went through 3 big name platforms now for client management. We’ve shifted through templates and contracts and questionnaires. We utilized time trackers and tools and organizational guides. And each one has left us wanting more...until we started dating Honeybook. At first...it was cute, it was intriguing and helpful. But the more I learned about it and the more I dove deep into each section of its heart, the more I fell in love. The Honeybook app is so convenient and so kind- to let me access everything on my program...on my phone...anywhere. It’s ever evolving, always updating, and always getting better. But the best thing is that it’s already worlds better then everything else we’ve seen out there. Thank you Honeybook, keep being cute. We love you.